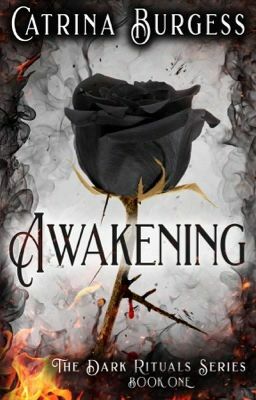 :::Wattpad Featured Story & 2014 Wattpad Prize Winner - Best Suspense Story:::: In Awakening, the first installment in the Dark Rituals series, a former healer turns to the Death Arts to seek revenge. Seventeen-year-old Colina was born a healer. But after a horrific event forces her to leave her clan, she becomes desperate to learn the dark magic of the death dealers, mages who draw their power from the spirits of the dead. Colina was taught to fear and hate death dealers, but becoming one of them is the only way for her to get the revenge she seeks-and the only way for her to survive. Colina asks a young death dealer named Luke to help her, but he's reluctant to train her in the Death Arts. Little does she know convincing him to teach her will be the easiest part of her journey. To become a death dealer, Colina will need to undergo three dark rituals, each more terrifying than the last. At the same time, she'll have to deal with her growing feelings for her mentor. Too bad the first ritual involves him strangling her to death. As Colina undergoes the trials, she discovers an untapped darkness within herself. If she survives the horrific rituals and gains dark power, what will she become?